The best dog camera certainly isn't a necessity for pet owners, but they are very handy to have if you worry about your dog when you're away from home. Depending on the camera that you purchase, it could give you the ability to see your pet, play with him, give him a treat and even speak to him when you're gone to work or out running errands. We've had a pet camera for over a year now. Honestly, I didn't even get it for my dogs. I bought the camera because I hated leaving them and I always felt guilty. Our boxer, Chloe, suffers from mild separation anxiety, and I guess you could say I do too! Not only does having a pet camera comfort me, I think it does benefit our pack as well. I can check in with them throughout the day, and I think it helps them to not feel so alone. Now, I've decided to compare three of the most popular dog camera models on the market. If you follow Top Dog Tips, then you know that we try to find the best products to share with our readers. I've tried all three of these cameras myself with our pets, so all of the information contained in this review was gathered first hand. This type of product is very new to the market, which means there aren't a whole lot of options to choose from. I searched through the cameras that are designed specifically for pets, and these three definitely stood out. Without further ado, let me tell you briefly about the three cameras that I chose to test. First, I chose two treat dispensing dog cameras. Every camera offers its own features, but I quickly realized that treat dispensing really gets a dog's attention. Furbo and Petzi have both created cameras that allow you to check in on your pet while you're away from home. They've also added the ability to give Fido a treat with the push of a button on your smartphone. I also chose to test the new camera from Petcube. They've put a new spin on their original pet camera by adding a laser pointer that you can use to get your pet up and moving when he spends long hours at home alone. So, which of these products is my top choice? I spent months evaluating these products, and now I'll let you know which one comes in at the top of my list! 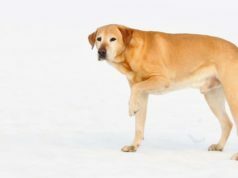 It's pretty simple to guess what the biggest similarity is between these three products – they all capture video of your dog, and you can see it via a live feed on your smartphone or tablet. Both the Furbo and Petzi cameras stream video in 720p HD. All three cameras also work with an app that you'll need to download on your smartphone or other compatible device. Furbo, Petzi and Petcube all offer apps that are free to download and are compatible with Android and iOS systems. These are all standard pet cameras that work in the same way. You'll need to have WiFi in your house to use the cameras. Just plug the camera into a power outlet and give it a few minutes to connect to your wireless internet. Download the app, and you'll be able to connect the device to your smartphone. Then you can keep an eye on your pet from anywhere that your phone or tablet gets an internet connection. All of these cameras also feature night vision, so you can check on Fido whether you're away during the day or after dark. They all also allow you to share pictures or videos of your dog on social media. The Furbo camera and the camera from Petcube offer one important feature that the Petzi Treat Cam does not. They are both equipped with a 2-way microphone that not allows you to record messages for your dog, but you can also hear what's going on in your home when you open the app. They'll both give you bark alerts when your dog's making a commotion as well. I picked these cameras because they have all gotten great reviews from dog owners, and I wanted to test them out for myself. Dog and cat owners were pleasantly surprised at how these cameras worked. They raved about being able to check on their pet during the day. I agree that they all worked well, but there were definitely some features that I like better than others. They are certainly three of the best dog cameras on the market, but they all have their drawbacks. It's really a matter of preference and how you're planning to use the camera. The Petzi camera is made to be mounted on a wall. You can set it up on a coffee table or shelf, but it isn't very sturdy. It's best mounted to the wall, but remember that it needs to be plugged into an outlet. It has a power cord that is about 3.5 feet long, so you'll need to find just the right spot in your home for this camera. Most similar products can easily be placed on a table or safe, making them more versatile. Also, setting up this camera requires putting holes in your wall. This could be a problem for pet owners who rent or lease their home. This best dog camera turns on automatically when you open the app. It makes a chime sound when it turns on, so it's easy to train your pet to come to the camera when he hears that noise. The other two don't offer this, so you will probably have to talk to them to get them to come near the camera where you can see them. When you open the Petzi app you'll see three buttons on the side of the screen. One is a camera that allows you to take still pictures of your dogs, and one looks like a microphone. This button allows you to record a voice message for your pet that will play when you release the button. The third button is in the shape of a dog bone. When you press and release this button it sends a signal to the treat camera to eject a snack for your pooch. You have to use small treats, like training treats, and sometimes two or three treats are released. The number of treats that are dispensed by this best dog camera depends on the size – if you use smaller treats, more will be ejected. As you can see in my video review below, the Petzi camera has about a 3-5 second delay in its live feed. This isn't a deal breaker for me, but I suppose it could be frustrating to some users. The microphone quality is great, but because the camera quality didn't match up I couldn't rank this dog camera on the top of my list. It's the cheapest on the list, but not by much. You can purchase a Petzi Treat Camera on Amazon for about $168. Believe it or not, this price is pretty cheap for a pet camera. The first thing you probably noticed in the photos at the top of this article is the drastic size difference between these three pet cameras. The Petcube Play is a 3″ by 3″ cube. It's about a quarter of the size of any other best dog camera on the market. If you don't have a lot of extra space to work with, this may be the camera for you. One of the features that the Petcube Play has over the other two options is that it streams in 1080p HD video. It provides a clearer video than the other two best dog camera products, and the feed is only delayed by a few milliseconds. This camera also offers a wide angle camera that shows a 138° view. As I mentioned above, this device allows you to record messages for your dog and also hear what is going on in your home. You'll receive noise and motion alerts from the Petcube app, which is a great security feature. The biggest difference with this pet camera is that in place of a treat dispenser it has a laser toy. The laser has been certified safe for pets and humans, so no worries there. This unique feature isn't found on the other best dog camera products, and it lets you get your dog up off the couch in the middle of the day. I do have to say that our cats enjoyed this pet camera much more than our dogs did. They got tired of playing with the laser very quickly, but it entertains our cats for hours! Along the same lines, I do think this camera is the best option for multi-pet households that want to keep an eye on all of their pets. Petcube also just released a treat dispensing camera, but it doesn't offer the laser feature. Now, let's talk about the most unique feature that this camera offers. Petcube gives app users the ability to play with other pets in addition to their own! While your cat or dog may be having a lazy day and doesn't want to play, other users can make their camera available for anyone to access and play with their pets. Don't worry, you can keep your camera private if you don't want anyone else to have access to it. However, the nice aspect off making your camera public is that your friends and family can check on your pet too! There are also many animal shelters that have Petcube devices hooked up, and they allow other users to get on and play with the pets in the shelter. You can entertain yourself when you're bored and help shelter animals at the same time! The app allows you to save these other cameras in your ‘Favorites' list so they're easily accessible when you open the app. My only complaint about the laser is that it points straight across. There is no way to angle the laser pointer so it is displayed on the floor. You wouldn't want to point it at the wall, because then you risk your pet scratching a hole in the wall. In order to get the laser to point onto the floor, you have to place the Petcube Play on a high shelf and angle the entire unit to face downward. While it isn't the most expensive product on this list, the Petcube Play will cost you $199 to buy on Amazon. Dog cameras aren't a necessity, and this one falls right in the middle of the price range for similar products. Unfortunately, if you want this kind of technology to keep an eye on Fido you're going to have to pay for it. Similar to the Petzi Treat Cam, the Furbo is equipped with a 2-way microphone and a treat dispenser. You can record messages for your dog and also hear what's happening back at home. The Furbo app will also alert you when your dog is barking. The Furbo can hold more treats than the Petzi, which means you won't need to fill it as often. As you can see in best dog camera comparison video at the top of this article, the Furbo is also much easier to fill. There is a bamboo top that can be easily removed to access the treat cue. You have to remove the entire front plate of the Petzi camera to access the treat storage area. I also think that the Furbo blends into a home's decor much better than the Petzi device. One of the main reasons that the Furbo tops my list of the best dog camera products is because it doesn't need to be mounted to the wall and its design blends in with virtually everything. The Petzi has bright stickers on the front and is designed to be attached to your wall with hardware. The Furbo app was the easiest to use, and the video quality was better than the other two options as well. A sleeker design, its treat dispensing capabilities and easy to fill treat storage, and the top quality app and clear video are what pushed this product to the top of my list. While the most affordable products usually catch my attention, the Furbo is actually the most expensive best dog camera on this list. However, in this case, any dog owner buying a pet camera knows they are purchasing an unnecessary item. Chances are, they're expecting to pay a hefty price tag for a piece of advanced technology like this. Better quality usually means a steeper price tag, and that's what you're going to see with the Furbo. You can purchase this device on Amazon for $242 right now. While that's not a lot higher than the other two products, it certainly won't meet every budget.